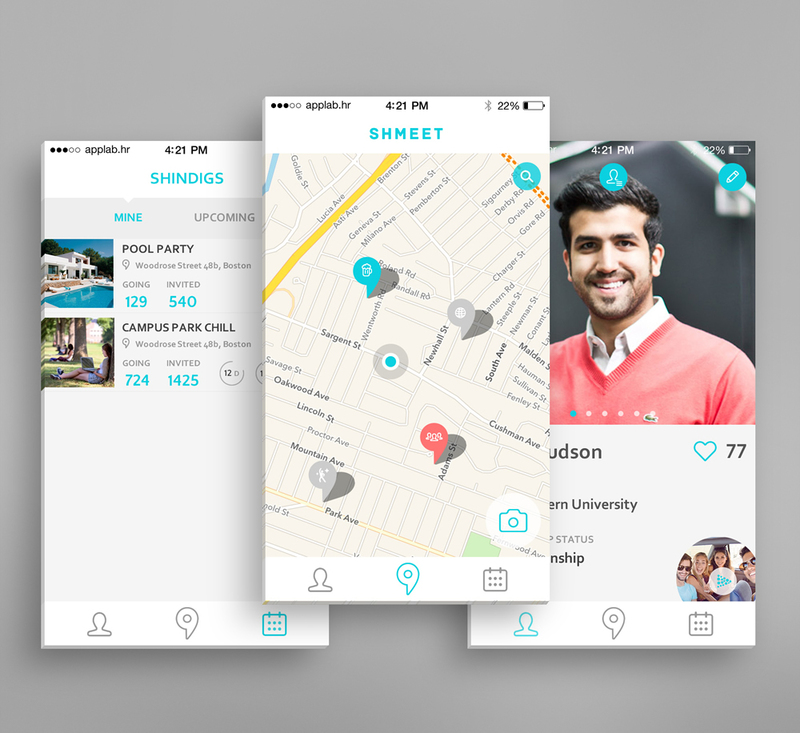 Shmeet is a college geo-location social app. Users upload short videos or images from venues or private parties on campus. The app notifies users when groups of friends are going or check-into bars and parties. User can opt to check-in automatically or manually to a location. If the auto check-in is selected, the app monitors location regions, user location and performs the check in even when the app is not running. This algorithm was developed in a way that the battery impact is minimal but doesn’t compromise the functionality of the app compared to full time location monitoring.